Found on philsgood photo a day by way of team today. 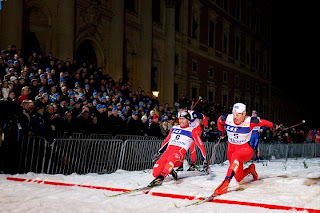 Racing on natural snow, in Boston, on March 20th? You've got to be kidding me. I always forget that "race-able" snow and "good snow" are totally different things. I had this funny idea we'd be skiing on smooth, beautiful wet granular conditions. Well, it was granular, so I got that part right. The daytime high was 42 (low for this time of year!) but what little snow was there was soft. They started grooming around 6, which left a layer of frozen smooth stuff on top (because the temperature was dropping) that broke through to slush/grass when you pushed off. There were two water crossings on the course. And somehow, they were charging $13 to for a trail pass, because they have no idea what they are doing. Anyway, there was a pretty good turnout for an unofficial Tuesday night, most of the fast guys were there. The course kept firming up as time passed so it ended up as an icy, rutted mess, the kind that destroys shins and confidence. I became sufficiently annoyed by the crapitude of nebra-ranking.com so I redid their spreadsheet on my site. Did I mention that I miss cross? Do not expect much from a 10k skate race the day after playing squash for 2 hours. This is especially true if you don't play squash. At all. And were abused by superior players for 2 hours. The good part of the race was leading for the first 2k. It's pretty cool to ski with nothing up barely-skied corduroy in front of you, and then to look over your shoulder and see a train of 20 people behind you. Of course, eventually the trail pitched upward, I relinquished my lead, and managed to get a cramp in my stomach before admitting that the pace was to high and dropping off the lead group of 6. So I panted shallowly for a few minutes while contemplating the purpose of nordic pain. In retrospect, I should have realized that the cramp was killing me and slowed down until it went away, instead of flogging myself up the hill for five minutes, but in any case when the trail leveled out I slowed down a whole lot. And then my cramp went away, and suddenly I was able to ski again. Just watching the video frightened me. 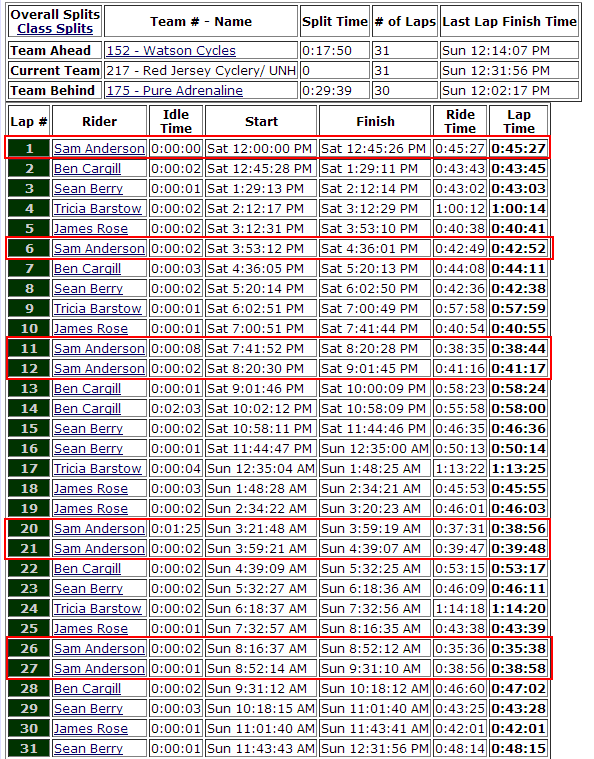 You know it's March when I'm doing well in ski races. The really good skiers are away at championship events. The pretty good skiers are burned out from training since August. And the mediocre skiers... I'm leading the pack, baby. Saturday was the Sugarloaf Downhill Inferno, a race uniquely suited to my talents. Starting from the top of the Whiffletree quad and descending 1200 feet in 5 or 6k, it's not a race for the faint of heart of slow reflexes. And endurance is not a factor in any way... thankfully. The race starts down an intermediate downhill trail on the alpine mountain, then hooks right onto a green trail with some trees on it, across another green trail (with a pretty big lip on the crossover), then down behind the condos, then a hairpin right turn onto the nordic trails, then another 8 minutes of sprinting and tucking generally downhill to the outdoor center. So it's been a while since I wrote anything of consequence here, mainly because my ski season crumbled to pieces due to inadequate training preparation. I did some races and basically found out that my body doesn't clear lactic acid at all, and I'm not getting faster, I'm getting slower. So there wasn't much to report, at least not much I felt like talking about. I did learn some things about training that should have been obvious in retrospect -- namely, that piling lots of intensity work on top of a mediocre base affects you a lot faster and harder than you'd expect. 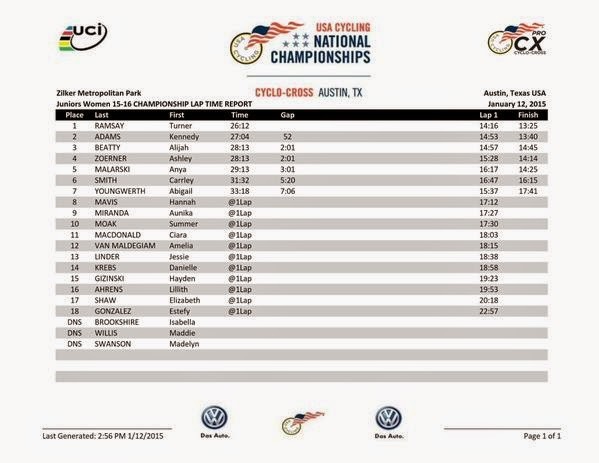 I raced cross all fall, and I was living in Florida last summer, so I didn't exactly get the base miles in. 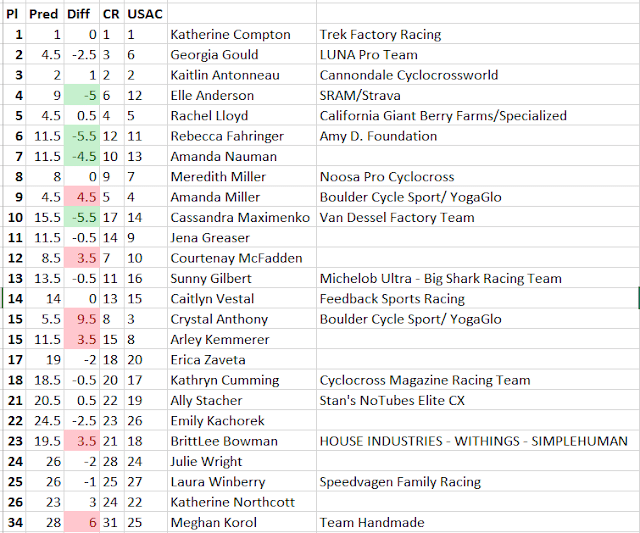 During cross season I was racing twice per weekend and riding once per week -- a VERY race-heavy schedule, but with 4 days off per week it seemed to work out. So apparently pushing stragglers up hills is part of road racing. I'm going to remember this next time I need to mock roadies. Here is an entire gallery of some guy pushing people at the Tour de California, and apparently taking himself way too seriously (or being sarcastic in a way far too subtle for me to catch). Luckily, Barry Wicks is on the scene, mocking fools, so at least someone is looking out for my interests.